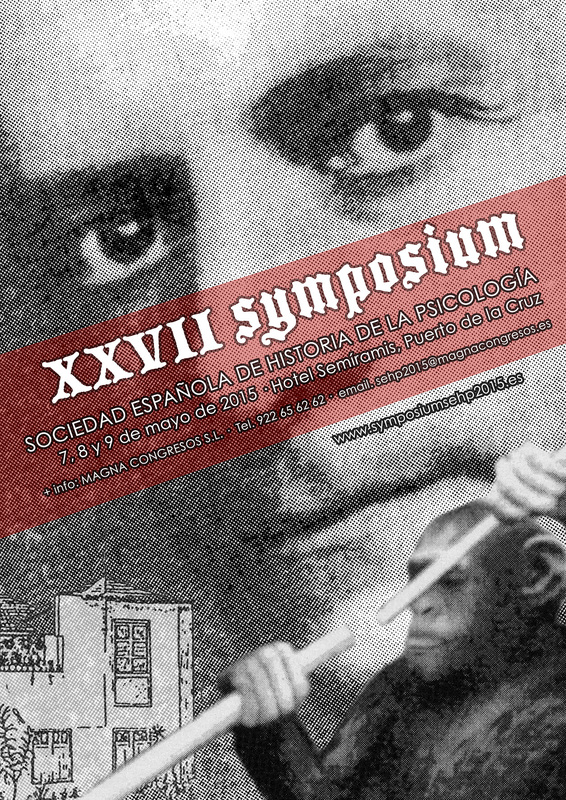 The Sociedad Española de Historia de la Psicología (SEHP) has issued a call for papers for their XXVIII Symposium. To be held in Tenerife, Spain May 7th-9th 2015, the meeting marks the centennial of Gestalt psychologist Wolfgang Köhler‘s experiments at the Prussian Academy of Sciences anthropoid research station in Tenerife. Organizer Justo Hernandez notes the meeting welcomes contributions on all topics in the history of psychology, but papers dealing with the history of Gestalt psychology and the history of comparative psychology are particularly welcome. More information is coming soon to the conference website. The August 2014 issue of History of Psychology is now online. A special issue on “Mental Testing after 1905: Uses in Different Local Contexts” edited by Annette Mülberger (left), the issue includes articles on intelligence testing in the Soviet Union, pedagogical uses of intelligence tests in Spain, psychological testing in Brazil, and more. Full titles, authors, and abstracts follow below. The effort to locate the origin and follow the historical development of mental tests comes as no surprise, given the success the technique enjoyed throughout the 20th century. It is a controversial, yet also essential, professional tool that characterizes the work of the psychologist in contemporary society. Why write more on this subject? In this introductory article, Mülberger will argue that although we have a great number of publications at our disposal, new contributions are needed to reinterpret this crucial episode in the history of psychology from different angles. Although unable to cover the huge number of publications, she will first comment briefly on some contributions that marked historical research in the second half of the 20th century. In doing so, she will focus on works that aim to explain the origin and historical development of mental testing. Mülberger will thereby leave aside the debate regarding the reliability of some empirical data gathered by certain psychologists and the social consequences of intelligence testing. She will then move on to evaluate the status quo by considering Carson’s (2007) ambitious research and the historiographical idea guiding this monographic issue.